I’ve come across artist Richard Woods’ work over the years, but I don’t think I ever quite put it all together until now. The London-based Woods likes to substitute colorful faux cartoon-y textures for the real ones. Beginning about a dozen years ago replacing wooden floor slats in a house with their colorful cartoon counterparts, Woods has since made aluminum siding homes look like tudors, revamped brick homes with larger cartoon-like faux brick exteriors, and now, at the Orangery in Wakefield, Yorkshire, he’s created a maze titled A Maze for Yorkshire in shades of pinks and reds in what he describes as a ‘cartoon Yorkshire dry stone wall.’ The temporary labyrinth measures 10 meters square with an intimate performance space at its center. 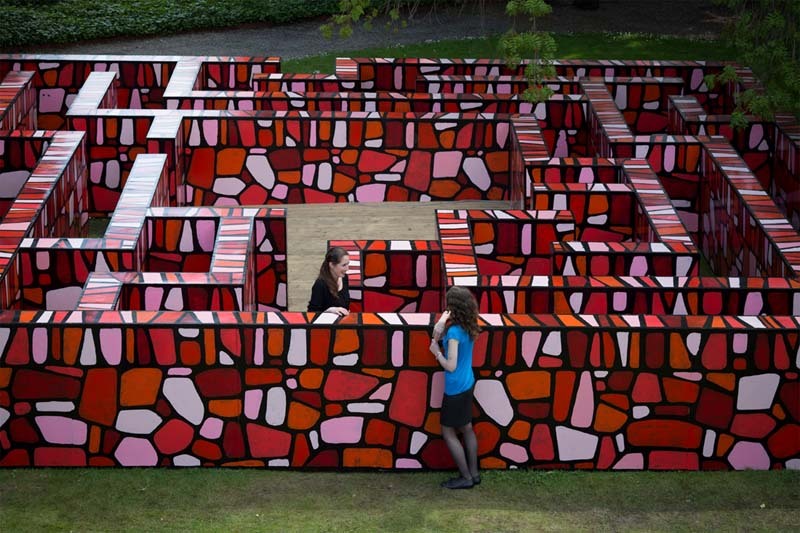 The maze has an accompanying soundscape as well. 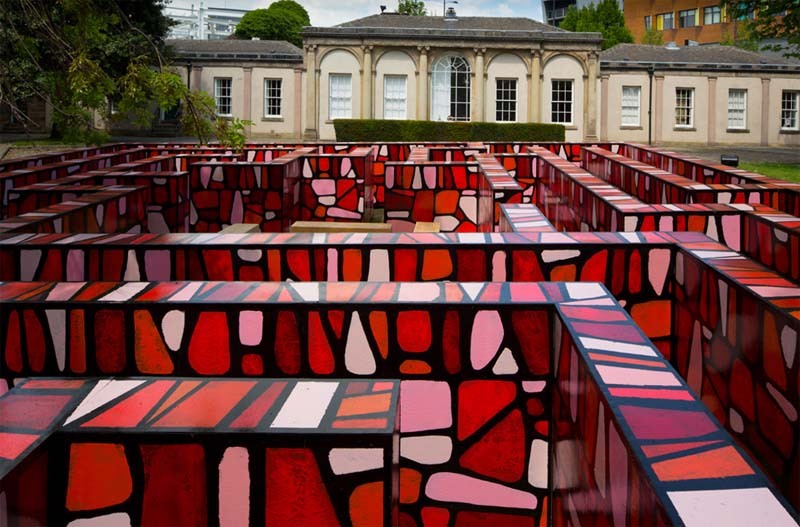 A Maze for Yorkshire will be up at The Orangery through September 29, 2013. Photos of maze by Jonty Wilde. Other photos courtesy of the artist. This entry was posted in Art, Event, Interaction Design, Pop Culture, Stuff We Like. Bookmark the permalink.